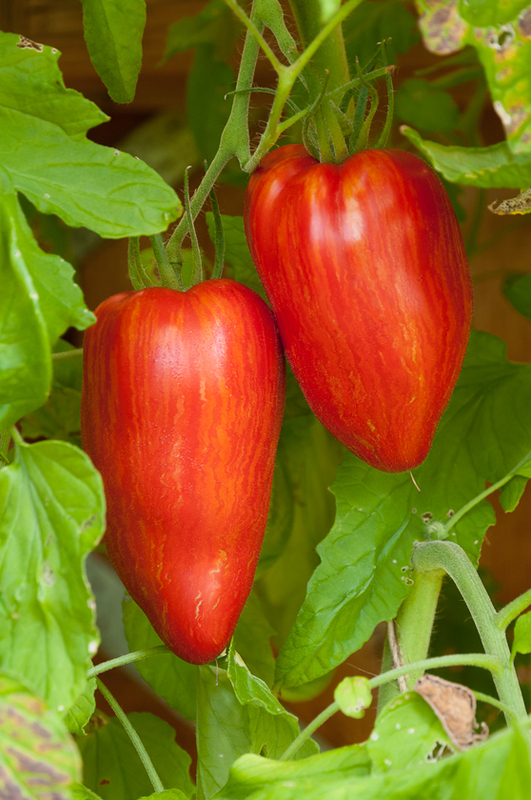 Tomatoes, peppers and eggplant are the highlights of my late summer garden and all are challenging to grow in our cool northwest climate. 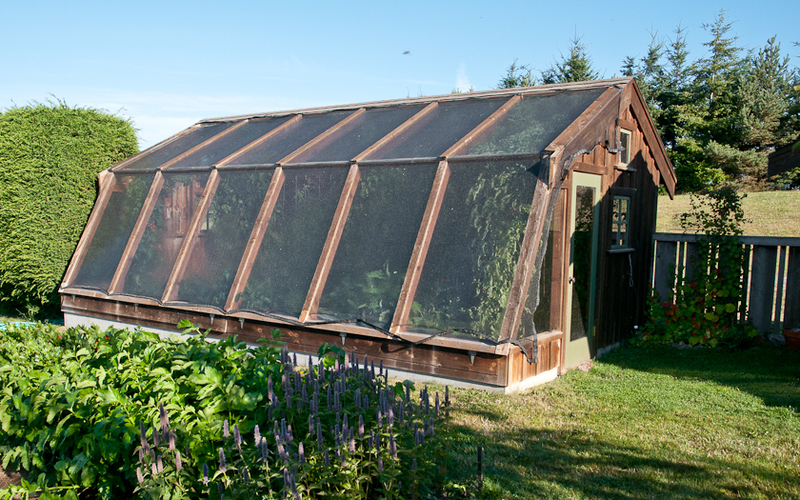 In the next several posts, I’ll write about how each grows in my garden, or more accurately in my greenhouse, and what I do with them in the kitchen. I’m very fortunate to have a greenhouse for growing these heat-loving plants. My husband Scott designed the structure and we built it in 2000. It’s twenty-four feet long by ten feet wide and ten feet high at the peak. Inside are two twenty-four-by-three foot beds separated by a three-foot path. Before building the greenhouse, we built plastic houses each year, effective but fragile compared with this permanent structure. 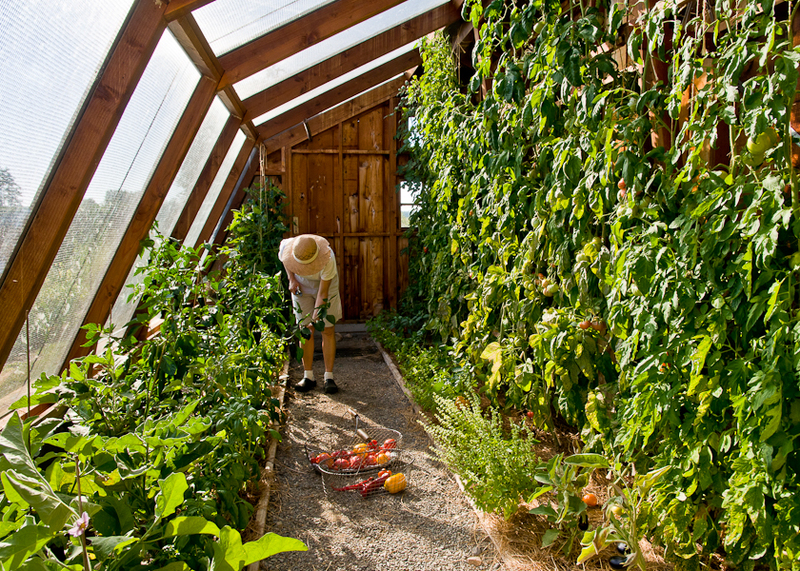 One great thing about the greenhouse is that it allows us to grow indeterminate varieties of tomatoes, those with vines that climb ten feet and higher. Scott trains the vines along twine stretched down from the ceiling, limiting each plant to two main branches and regularly pinching off suckers. 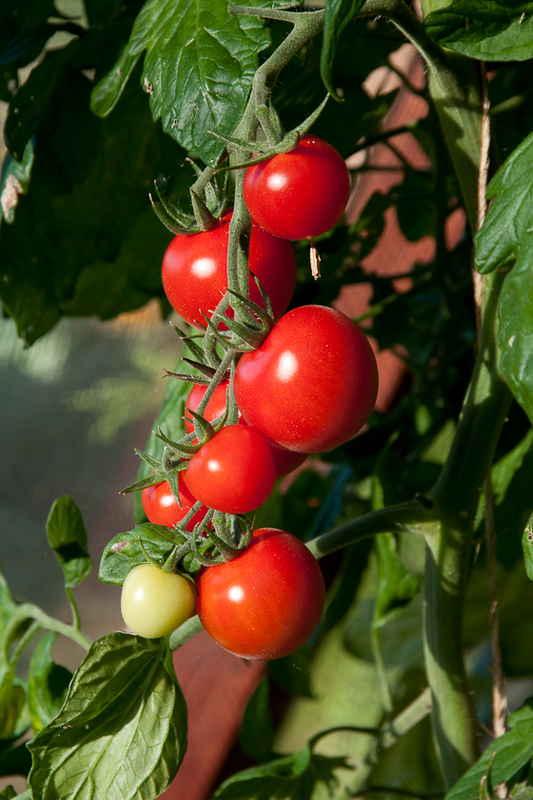 The tomatoes form along the vines as the vines climb, resulting in a continuous supply of ripening tomatoes. Planted eighteen inches apart, these climbing tomato plants form a solid ten-foot high wall of tomatoes by the end of summer. This year I planted Cherokee Purple, Brandywine, Pruden’s Purple, Momotaro, Golden Sunray, Kellogg’s Breakfast, Moonglow, Amish Paste, Speckled Roman, Peacevine and Sapho, starting the seeds under lights indoors in late February and transplanting them into the greenhouse in early April. 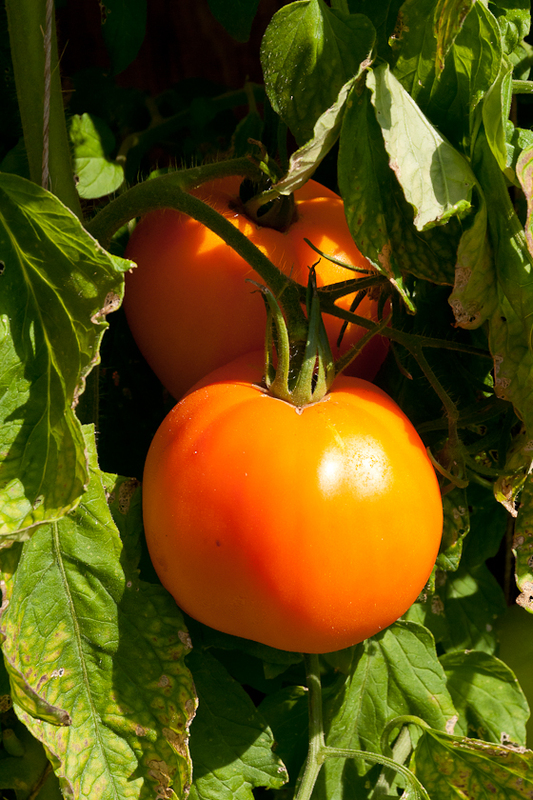 We picked the first tomatoes in early August, a Cherokee Purple, a Brandywine and a Golden Sunray. 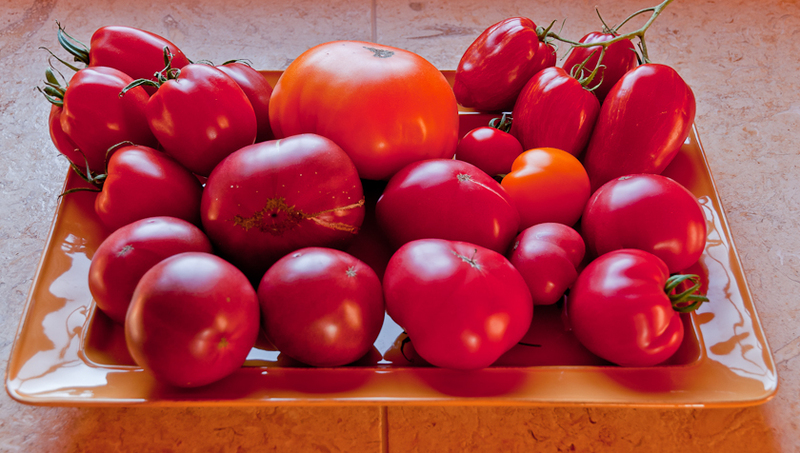 Compared to past years, this year’s tomatoes, even with the greenhouse, aren’t as abundant or robust or as early to ripen but they still provide the essential taste of summer. 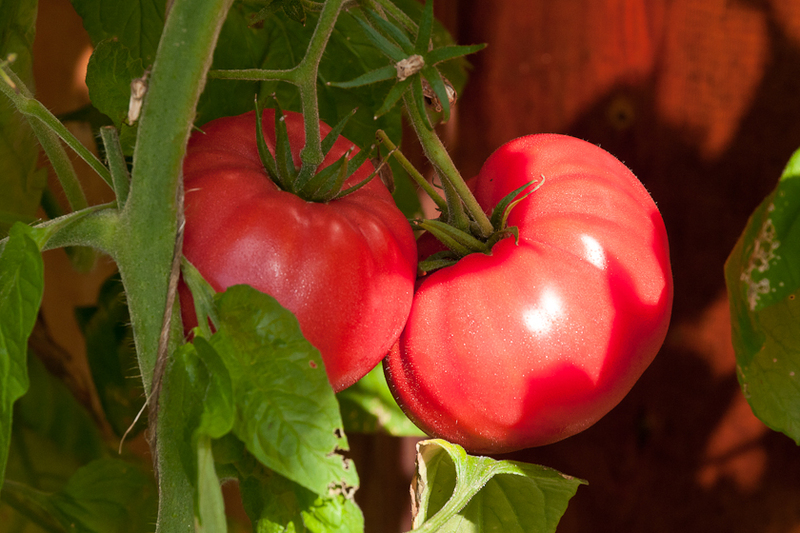 Here’s hoping for a warmer summer next year so that even without a greenhouse, tomatoes will ripen.